Chiropractic Physician – Dr. Hannawi (Totowa NJ Chiropractor) is a Board Certified Chiropractic Physician licensed to practice in New Jersey. Dr. Hannawi attended Rutgers, the state University of New Jersey, where he received his Bachelors of Science in Biological sciences. He completed his Chiropractic training at the University of Bridgeport where he earned his Doctorate in Chiropractic, graduating with honors. There, he worked as a full time intern at the health science center in Bridgeport under the supervision of a licensed clinician as well as completing his summer rotations at Chase community health center in North Bridgeport. 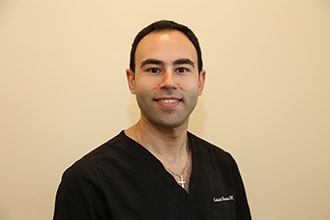 He now enjoys working alongside Dr. Sean Santagato at Elite Spine and Sports Care Of Totowa as a leading Totowa NJ Chiropractor. Dr. Hannawi is full body certified in Active Release Technique which includes the Upper Extremity, Lower Extremity and Spine. Active Release Technique (ART) is a state of the art soft tissue system that treats problems with muscles, tendons, ligaments, fascia and nerves. Additionally, Dr. Hannawi is certified in custom foot orthotics by sole supports and continues to expand his scope of practice by keeping up with the latest and most effective research for therapeutic treatments.